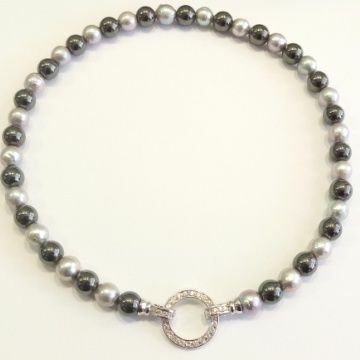 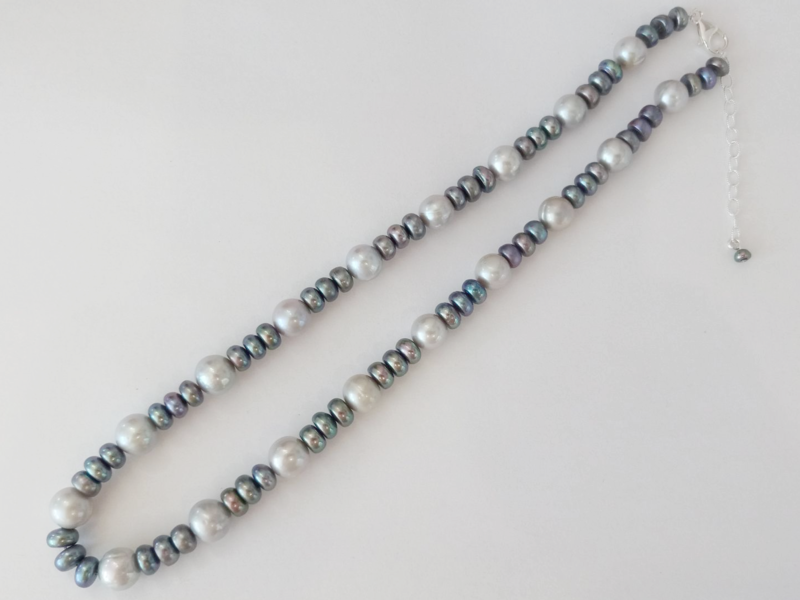 A cool and elegant necklace of grade A,large (8 - 9mm) grey pearls and darker peacock tones of 6 - 7mm flat sided (bun-shape) pearls. 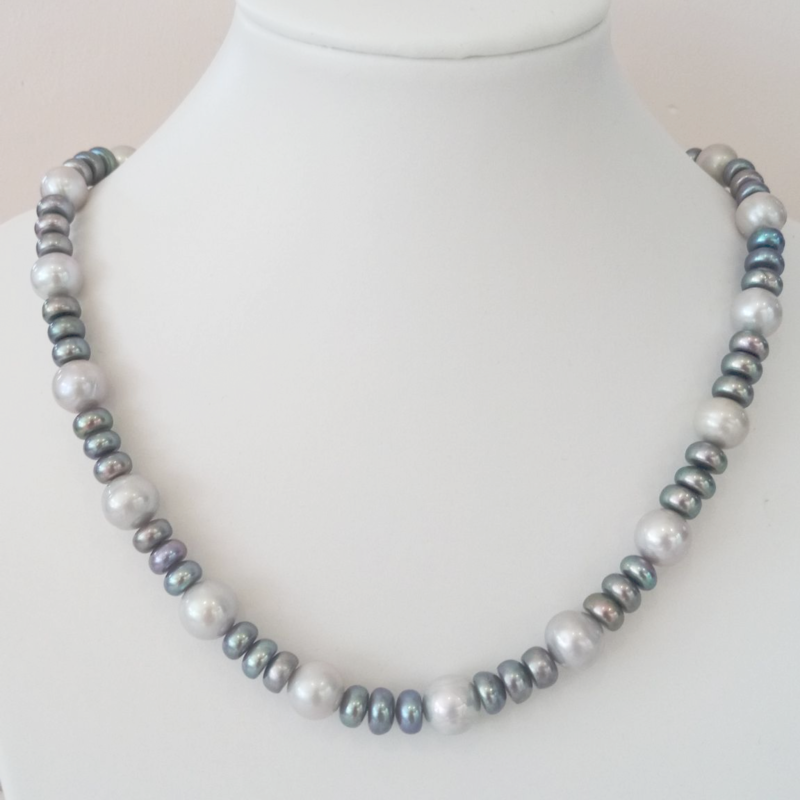 This lovely piece is hand-knotted between each element. 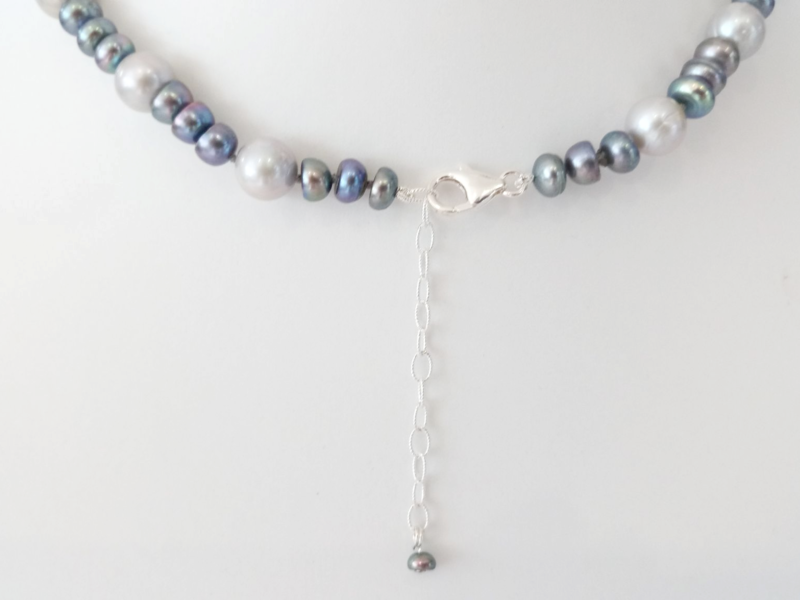 It fastens with a traditional Sterling silver 'lobster claw' clasp and 2-inch extension chain, making this a versatile addition to your jewellery box at an excellent price. 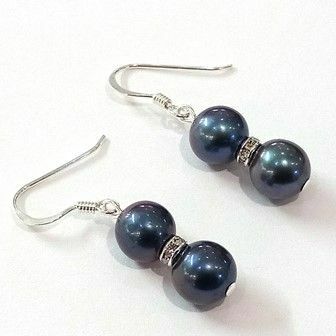 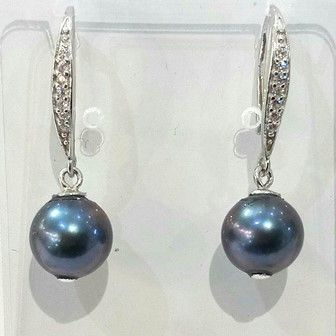 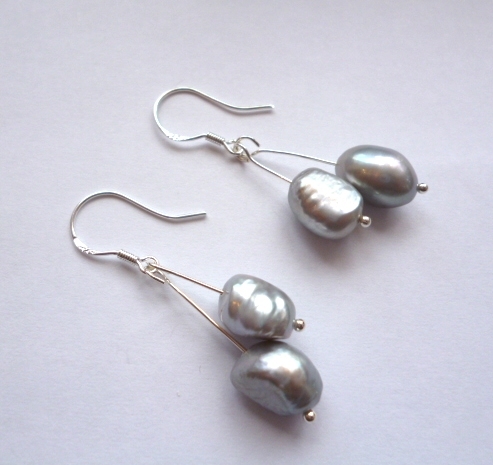 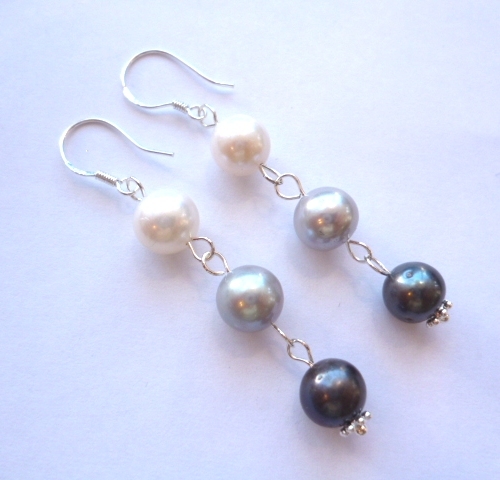 Grey pearl double drop ear-rings on silver hooks.